Those in the Paris, Texas community have grown up hearing about an evil house off of FM 195. 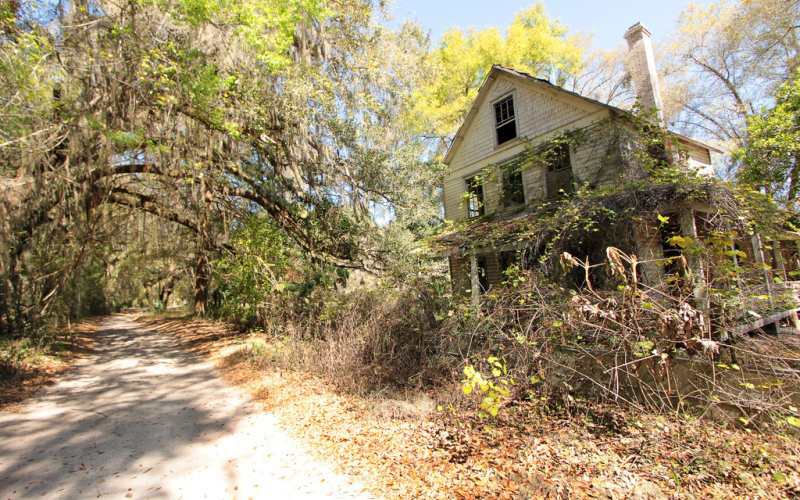 This abandoned house is said to be haunted, but many are not sure by what. These rumors are spread from generation to generation, and many speak of the house as though they have been there. But for Tony R. (Name changed for privacy), it’s not a rumor—it’s a reality. “I’ve always been interested in the paranormal,” he began. “But I’ll be the first to admit that I am a skeptic. Everybody in Paris is so terrified of that house yet nobody can explain why they are afraid. “It’s a bit comical really,” Tony grinned. “So I decided why not go there? You can’t just locate the house off GPS,” Tony said. “You have to drive up and down FM 195 in order to find it. Took me a good half hour, but I found it and parked my pickup in front. The front door was locked, but I jimmied a window into the dining room open. “The house was filthy inside, but it was clearly very beautiful underneath. There was rich, damask wallpaper everywhere and the furniture was very ornate. But everything was covered in layers of dust and neglect. “I was determined to explore the entire first floor when I heard a door open from the second floor landing. Many of my neighbors would have up and run at that point, but I figured it was just a draft,” he shrugged. “I climbed the stairs and located the open door. “When I went inside the room, all that was visible were the wooden floors. Large panels of black cloth covered all the walls and windows, making the room very dark. I lifted up my cell phone, and standing in the middle of the room was a boy. “’Hello’ I said. ‘Hi’ he answered back. He had one a dark wool suit that looked to be from the 1940’s. You could tell by that and his pale skin that he wasn’t just some kid from the neighborhood, playing in the house. 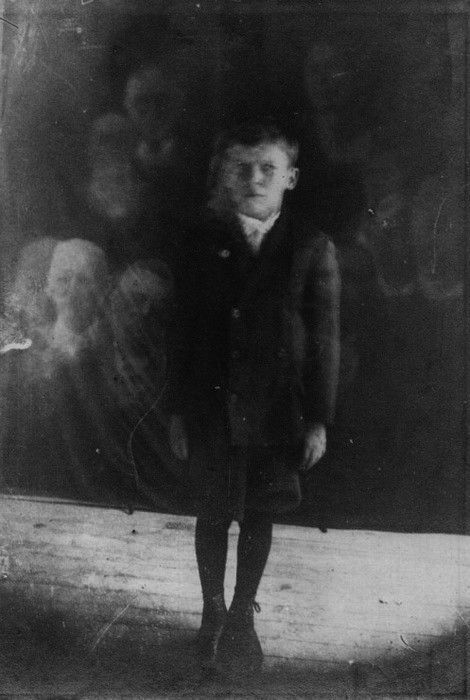 “This was without question a ghost. ’I hope you don’t mind my being here,’ I said to the boy. “’I have a ball somewhere…’ the boy trailed off. “’Who is they?’ I asked, turning back to face him. “And behind the boy, these nasty faces began to appear in the air. They looked like ordinary people at first, but all of their eye sockets were empty and none of them had any teeth!” exclaimed Tony. “’I told them not to hurt you, but I don’t think they will listen,’ the boy told me, looking sad.